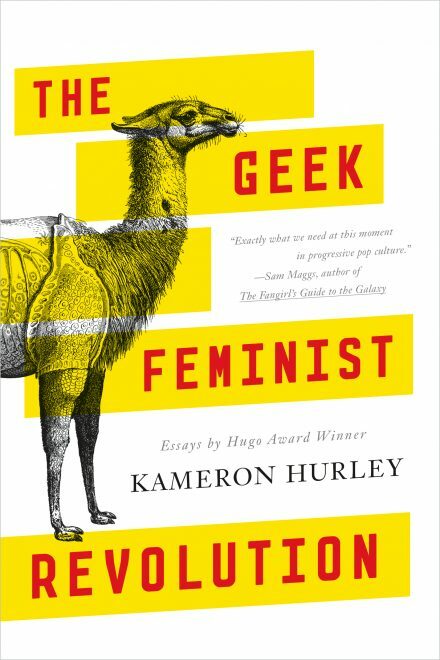 In the introduction to her new essay collection, Kameron Hurley states “There’s a revolution going on. We’re seeing some of the loudest and most violent of its battles inside a seemingly strange place: fan and creator communities of science fiction and fantasy media.” Hurley then goes on to explain why she wrote the essays in the collection, how they are part of the narrative of persistence, particularly for women fans and creators, in the face of this battle. The essays in The Geek Feminist Revolution are divided into four distinct sections that tackle writing, fandom, the personal, and revolution itself. Of course, as in any collection like this, these threads can be found in most of the essays in one way or the other and some of the anecdotes from one essay will often influence how one reads a later essay. Hurley’s voice throughout is engaging and forceful. It’s hard not to see the power behind her arguments and to feel moved to some kind of action within one’s own space as a writer or as a fan. Some of her essays deepened my own perceptions of a work that I’d enjoyed, such as “Wives, Warlords, and Refugees: The People Economy of Mad Max,” and others, such as “Some Men are More Monstrous than Others: On True Detective’s Men and Monsters,” made me want to argue with Hurley but in the best possible way. Hurley often reads like listening to an excellent professor’s lecture: she’s seeking to expand your knowledge on a subject, but also to bring your voice into the conversation.